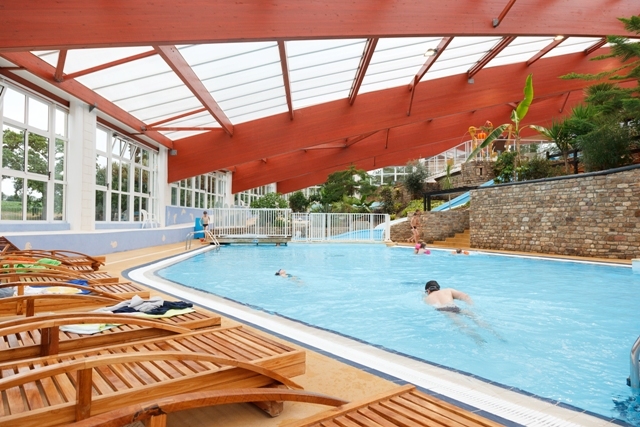 The Chateau de Lez-Eaux campsite offers an exceptional indoor aquatic park for your holiday in Normandy. 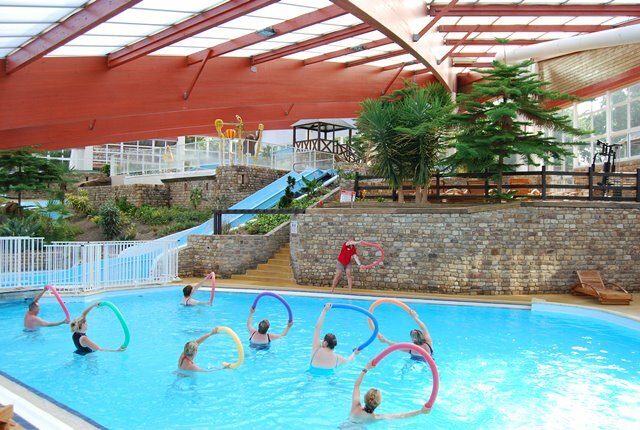 One of the best reason to go in our 5 stars campsite is the aquatic park, with a heated indoor swimming pool. 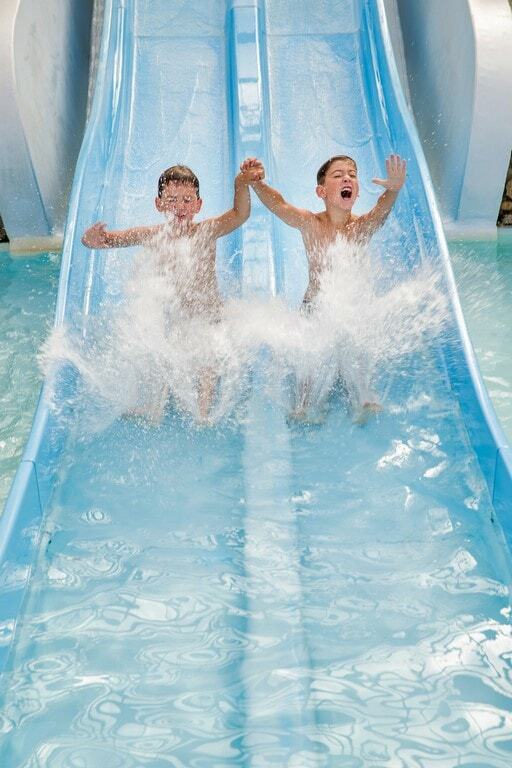 Do not worry about the weather, you will enjoy swimming at any time. 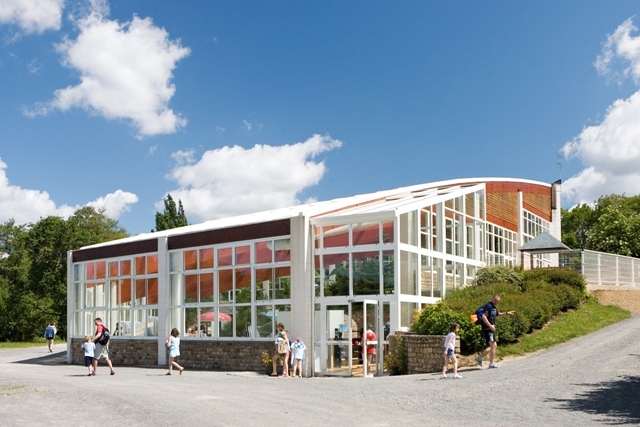 The resort is about 1300 m² area, the indoor swimming pool is perfect to enjoy time in family or with friends. There is a natural vegetation and it’s heated at 29 degrees. 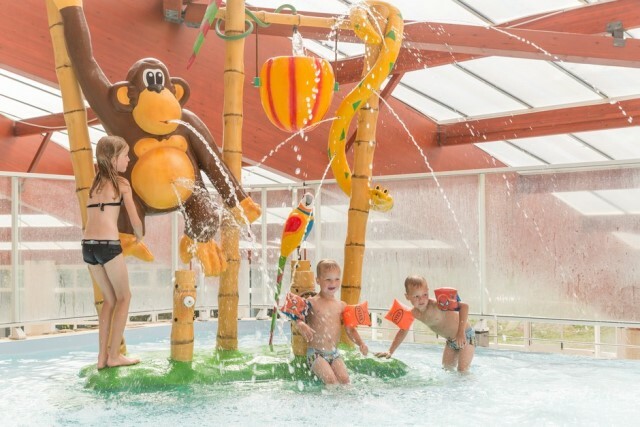 There is a paddling pool for the youngest swimmer and also water games to make your children laughing.  Open every day during the opening of the Château de Lez-Eaux campsite, 2018 march the 29th until september the 16th. It is obviously free for our residents during their stay. For a good hygiene, we precise that shorts are not allowed. An access is guaranteed for handicapped person. 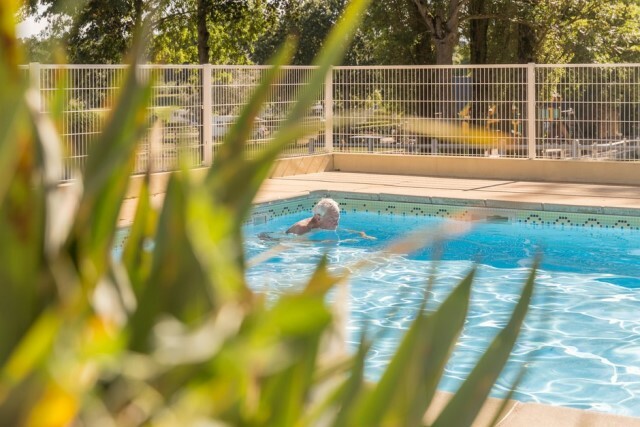 The 5 stars Château de Lez-Eaux campsite offers you sunny days during your holiday on the edge of an outdoor swimming pool. 13 meters long and 7 meters large, this outdoor swimming pool is between 1 meter and 1.50 meter deep. 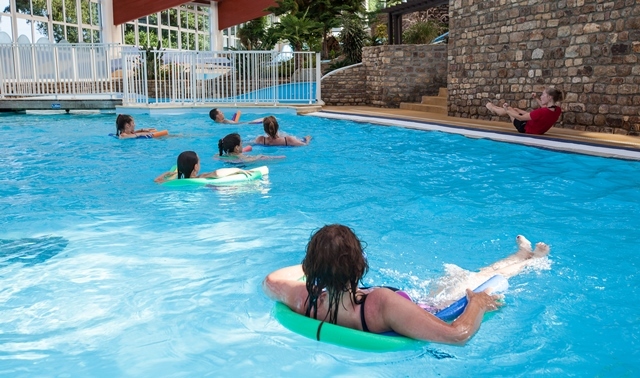 In August and July there is an aqua tonic wake up at 9 o’clock every day, except on Saturday, in the indoor swimming pool of the aquatic resort of the 5 stars campsite. 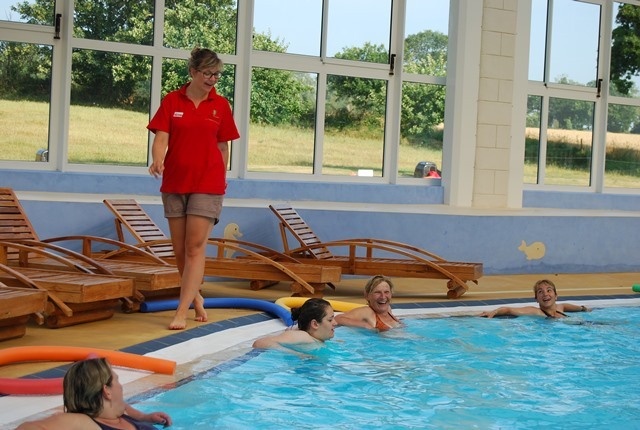 From 9 to 10am, follow our facilitator to have a gym lesson in water and with music. This is the way to start a healthy day and your holiday as well. 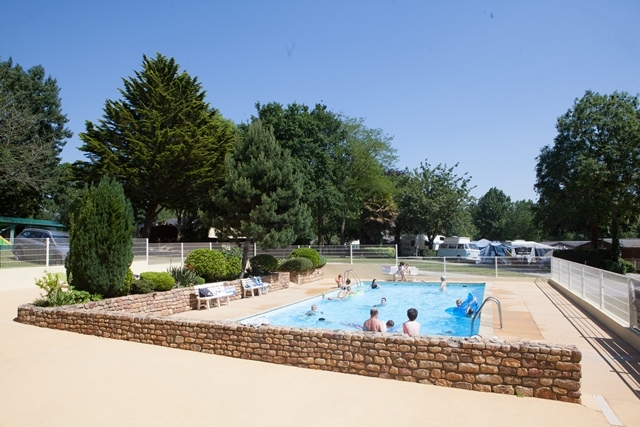 Enjoy a unique natural space in the Château de Lez-Eaux campsite to have a relaxing time during your stay.